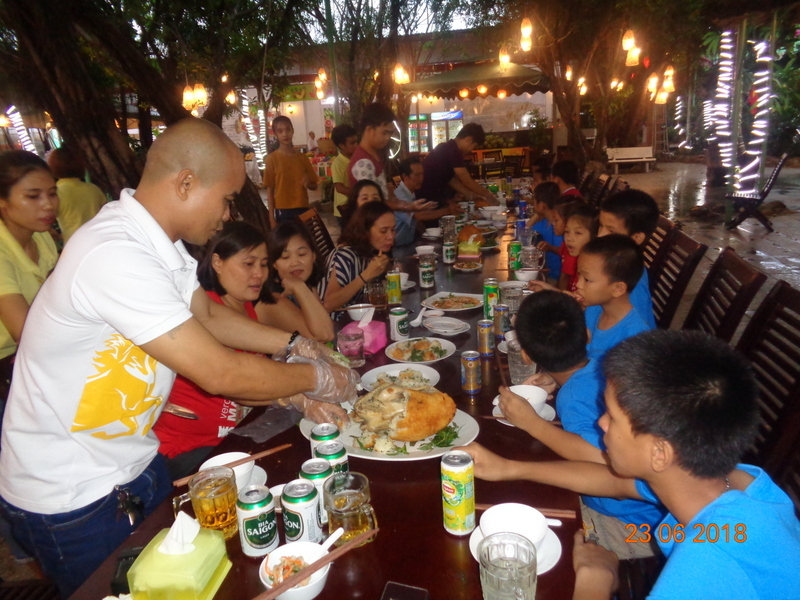 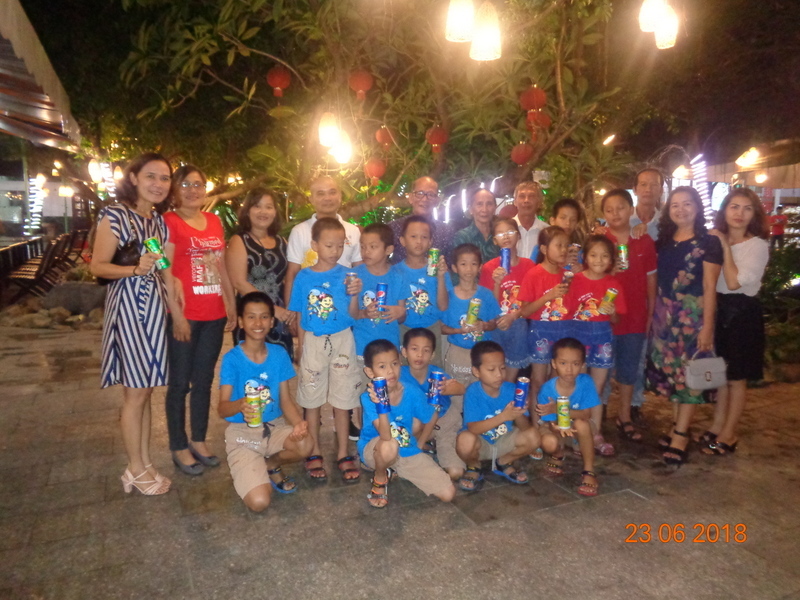 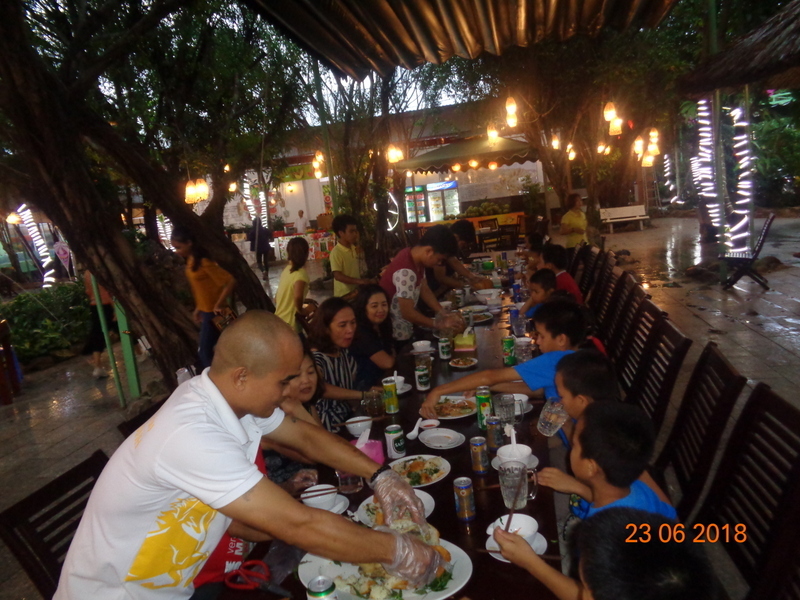 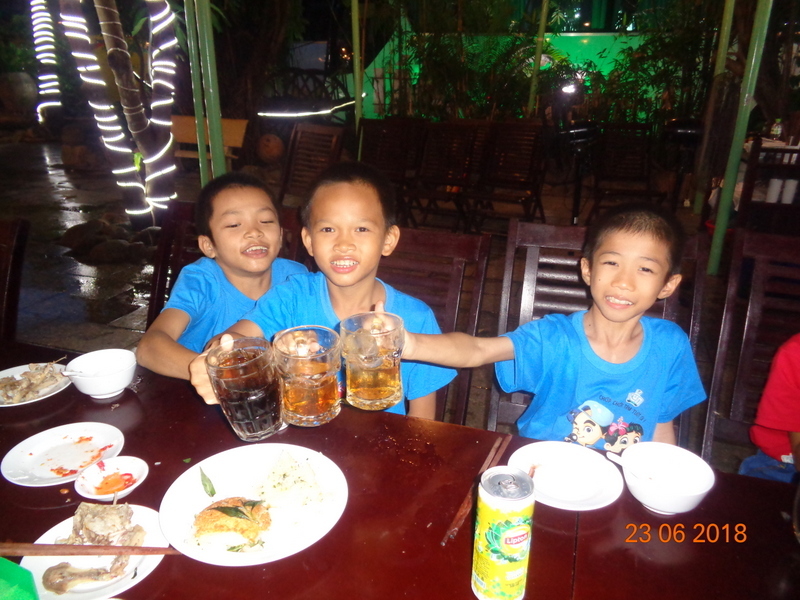 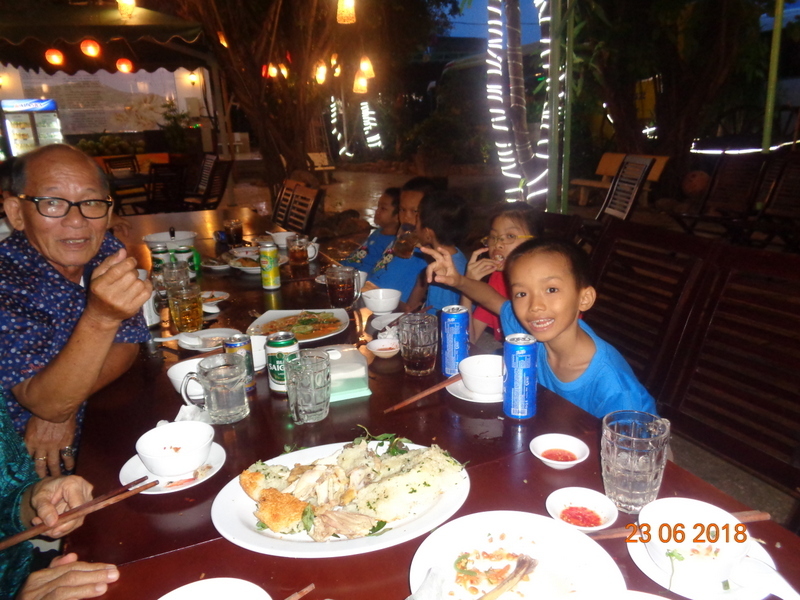 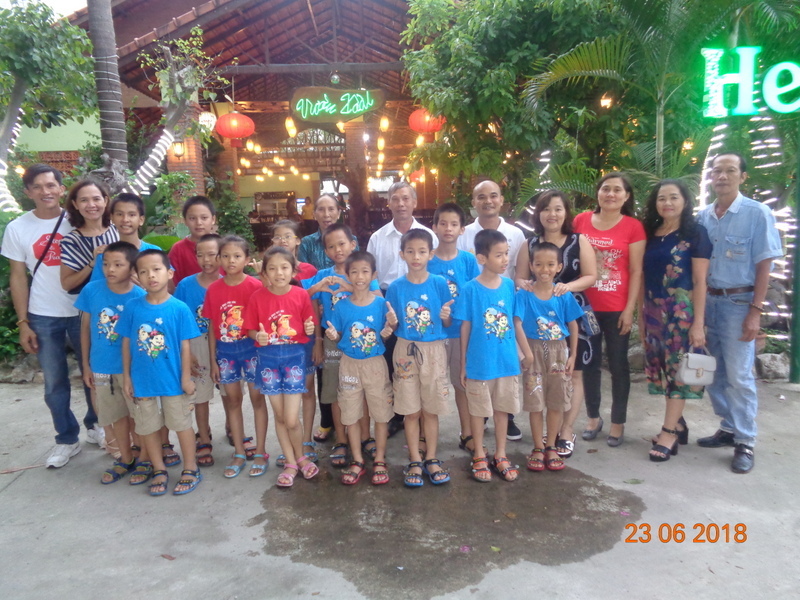 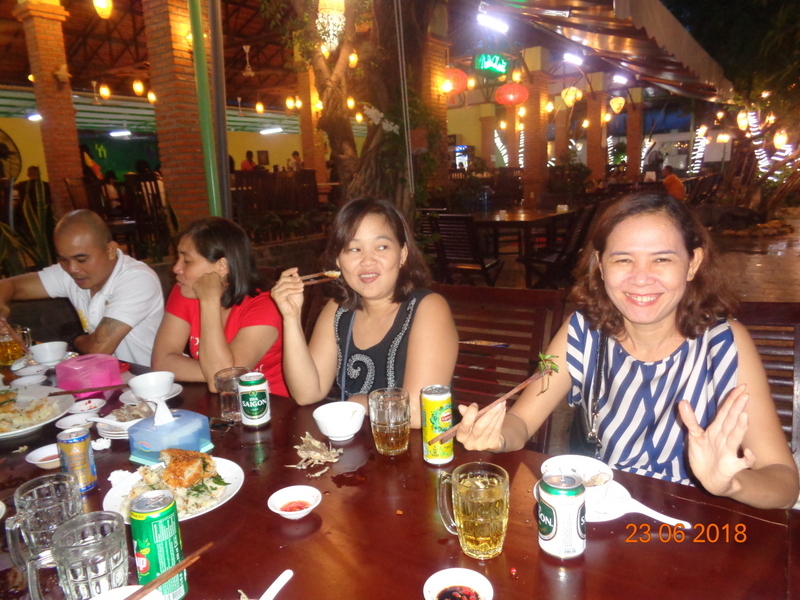 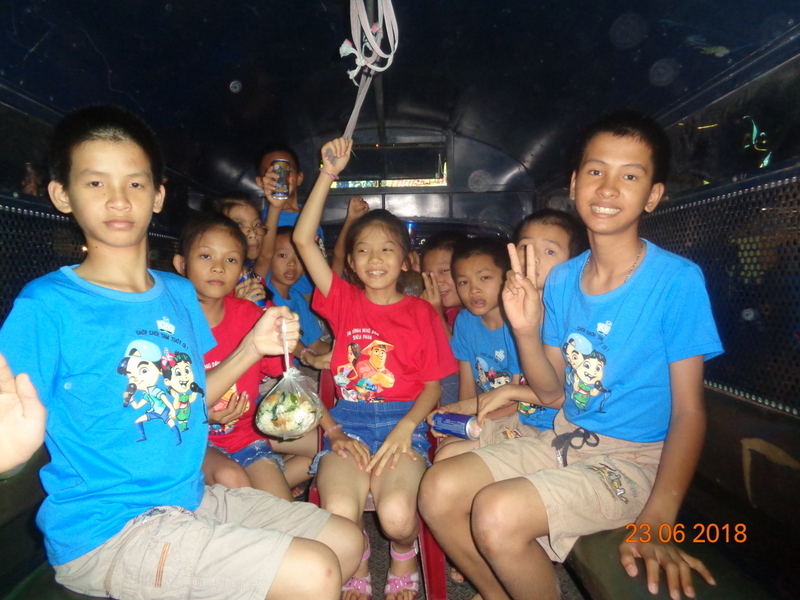 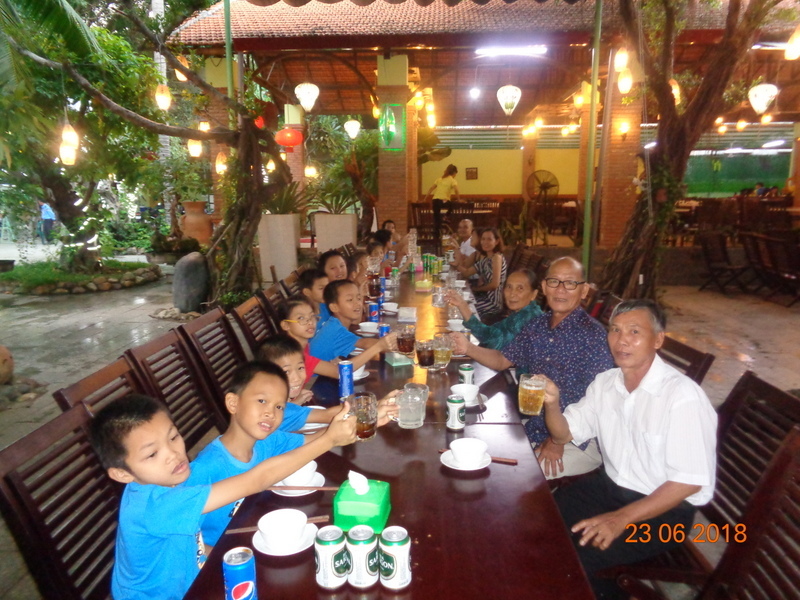 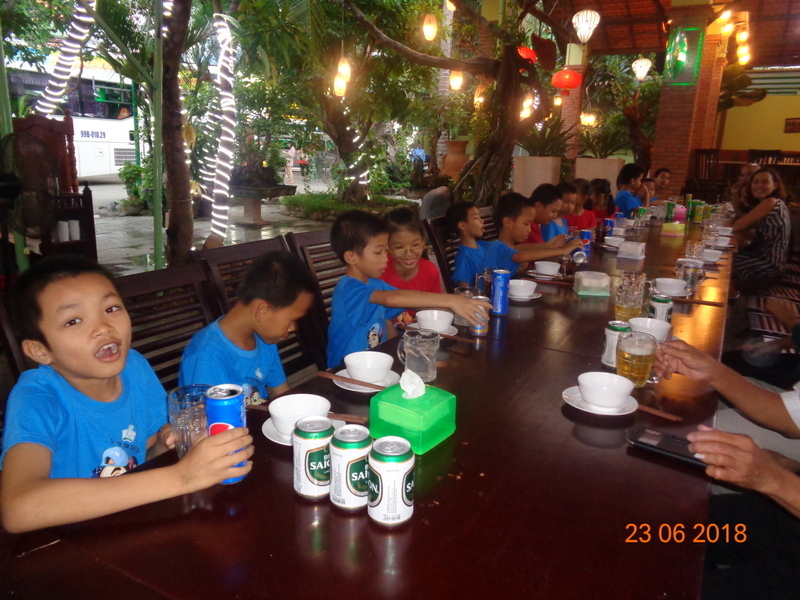 On June 23, 2018 we had a restaurant outing for the Thien Tam Orphanage. 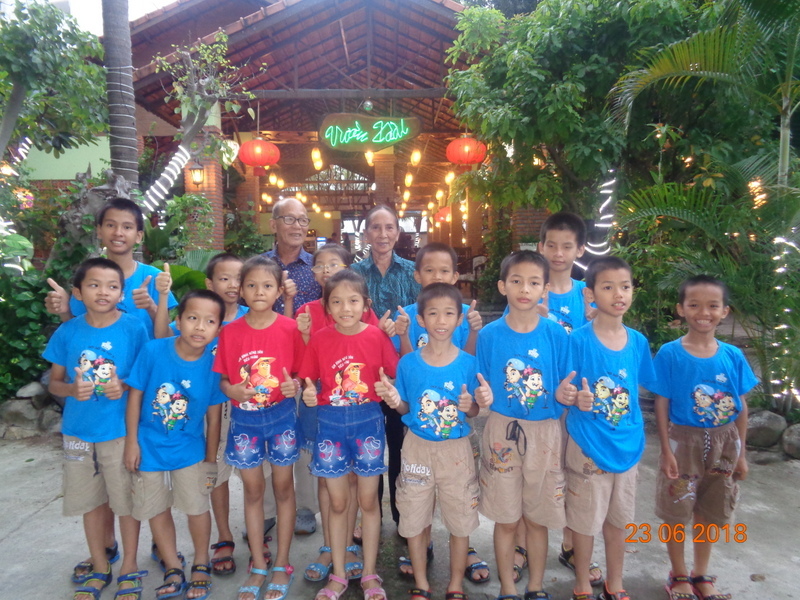 Thien Tam is a loving home to 13 young orphans, located just south of Nha Trang. 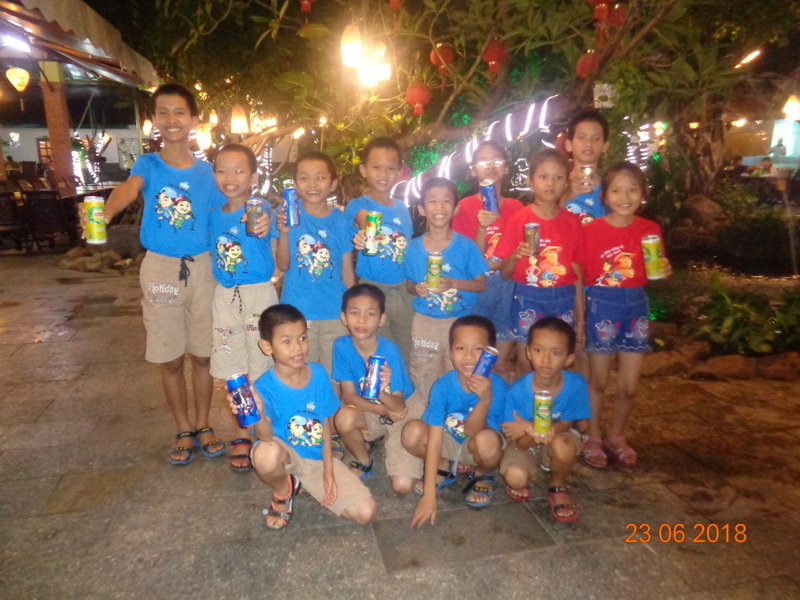 We were contacted by a couple who wished to do something special for the children, the caretakers, and our volunteers. 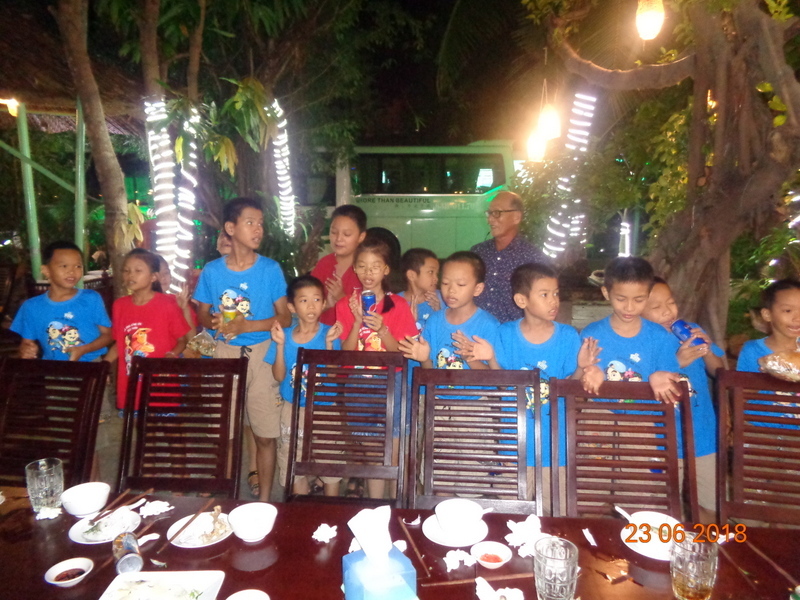 We coordinated with the caretakers and arranged for everyone to go out to a nice restaurant for dinner. 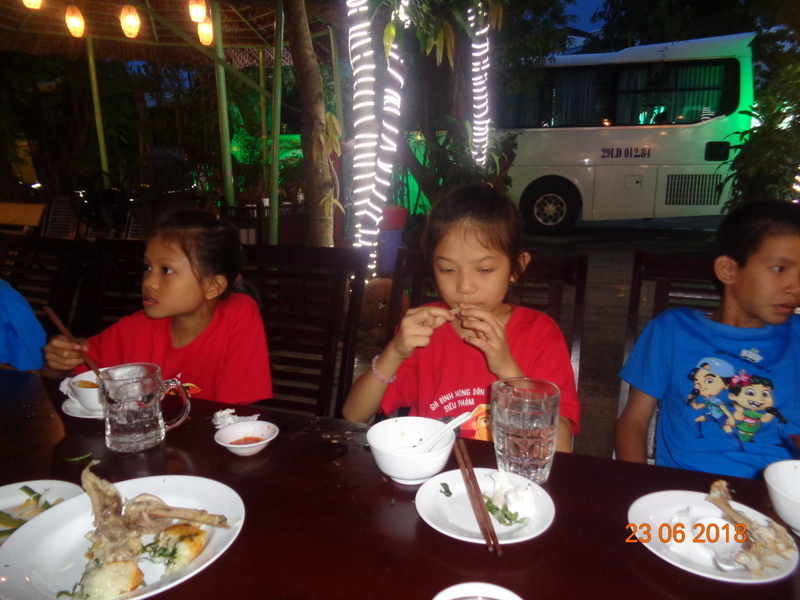 It was a wonderful evening, and everyone enjoyed their feast. 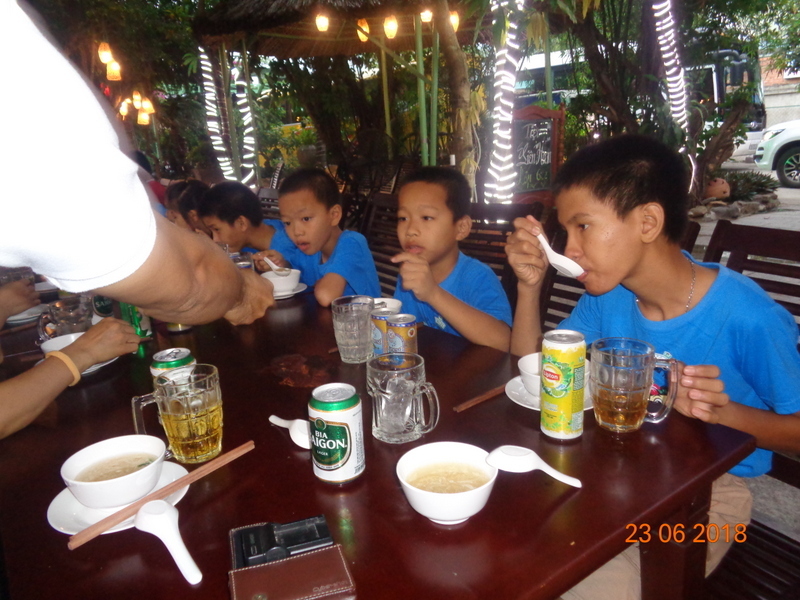 This outing was made possible through the kind donations of Chuck and Phi Fiese.